Private hire function rooms in Oxford don’t get much better than the Boiler Room at The Lighthouse. The Boiler Room boasts a dedicated bar and bartender, a fireplace and a projector screen. Our private party venue can host up to 20 people for a seated dining experience OR up to 50 people for drinks and nibbles. The Lighthouse tapas-restaurant concept combines lighter-portion cuisine with an emphasis on interactive social dining which is ideally suited to private functions and parties. Contact us to find out more about our private function menu options. 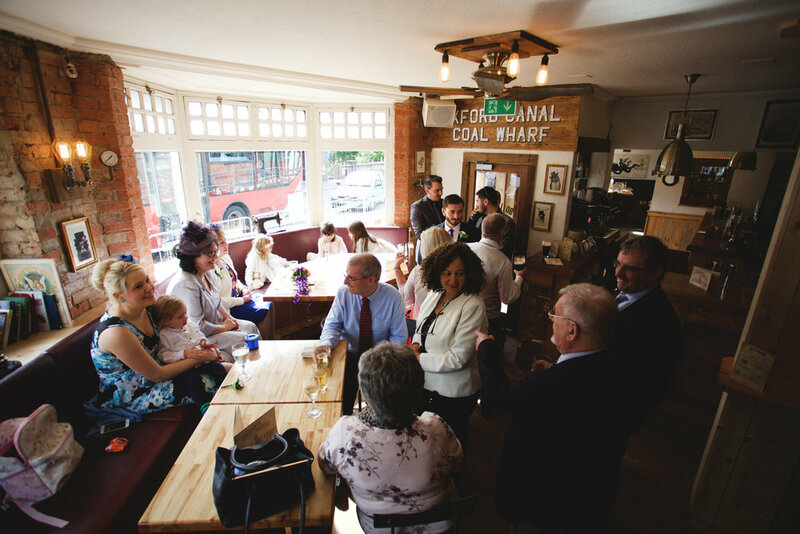 We have hosted birthday parties, hen parties, wedding receptions, intimate private dining experiences, poetry recitals, knitting societies and business meetings in the Boiler Room to name a few. The Lighthouse Boiler Room, and the rest of The Lighthouse is Nautica-Steampunk themed. Our riverside setting acted as the inland beacon and tavern for navigators of the Oxford Canal in the early 19th Century. So too our interior design and carefully placed lighting creates a bright and cheerful ‘house of light’ in which to host your private event or party. The private hire room is a pleasure to the eye and photographs like a dream. At The Lighthouse we are committed to crafting a space that is perfect for your next party, event or special occasion. Contact us or visit us to start planning!